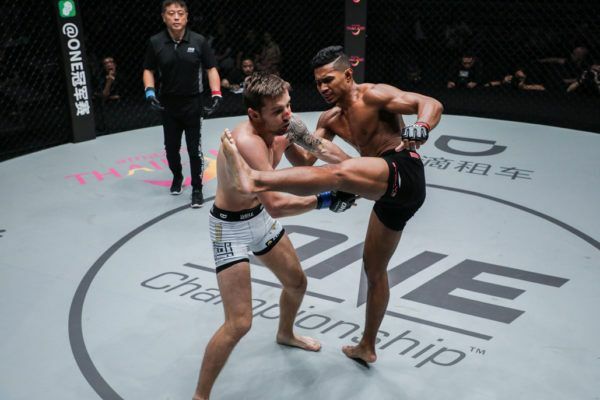 ONE Championship’s first event in Singapore of 2019 is packed with elite martial artists who are primed and ready to showcase their skills to a global audience. The main event of ONE: CALL TO GREATNESS on Saturday, 22 February features an all-striking battle between Stamp Fairtex and Janet “J.T.” Todd for the ONE Atomweight Muay Thai World Title, but there will also be plenty of opportunities for the grapplers to make their mark in mixed martial arts contests. That is no truer than in the two ONE Lightweight World Grand Prix quarter-finals, which will feature four of the division’s most dynamic and entertaining athletes. Here are five examples of the submission prowess that will be on display inside the Singapore Indoor Stadium. Will "Dagi!" take another arm home on 22 February? Saygid “Dagi” Guseyn Arslanaliev brings pressure in every range, and he can often overwhelm his opponents with his aggression. Veteran all-rounder Tetsuya Yamada used his experience to stay calm for most of their contest at ONE: IRON WILL, but he came unstuck in the final round under the weight of his opponent’s relentless offense. The Japanese athlete looked for a single-leg takedown, but “Dagi” countered his attempt and landed in the mount. From there, it looked like Arslanaliev would take his opponent’s back, but he opted for a kimura grip on his right arm instead. He rolled Yamada with the tight grip and followed him over, swinging his left leg over his opponent’s head to attack for a belly-down armbar. With gravity and pressure on “Dagi’s” side, he thrust his hips forward to hyper-extend the elbow and secure a finish. 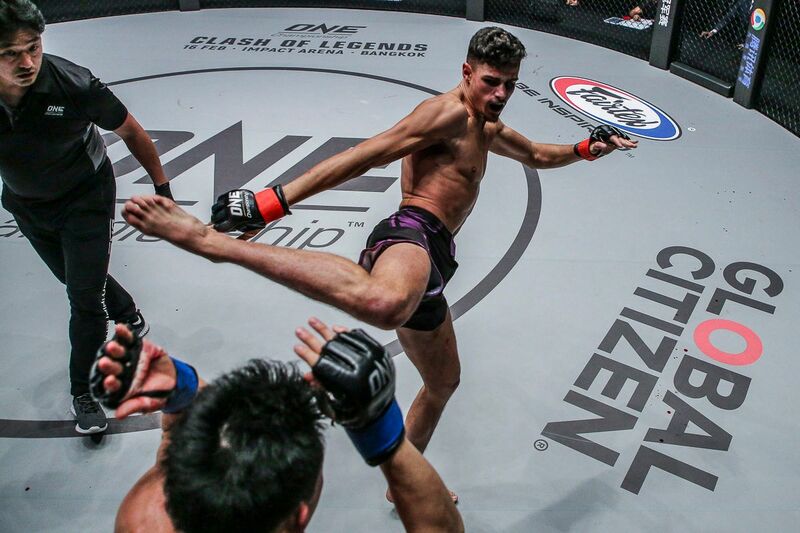 Arslanaliev will aim to continue his ascent against Ev Ting in the Lion City. Amir Khan locks in a tight RNC and forces the tap from Honorio Banario at 4:34 of the first round. 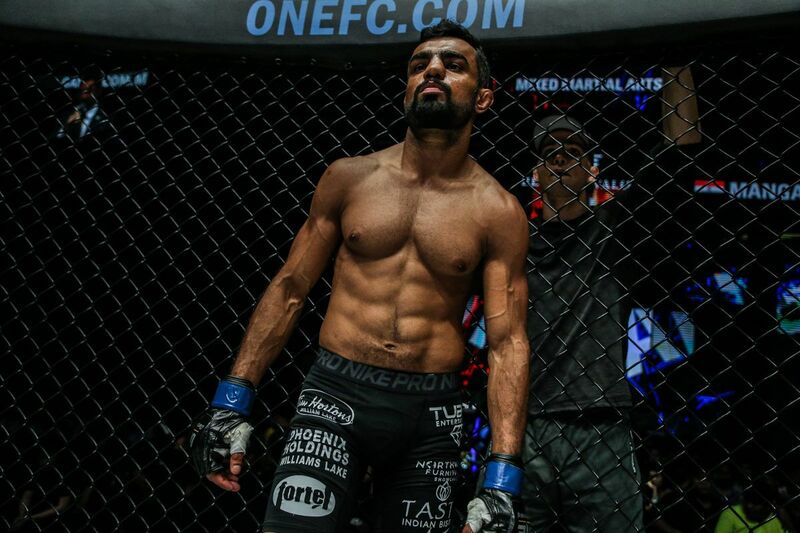 Evolve’s Amir Khan holds the record for the most knockout victories in ONE history, but against Honorio “The Rock” Banario, he also displayed the dangerous submission game he has honed through daily training with his Brazilian Jiu-Jitsu World Champion teammates at Evolve. When Khan tripped Banario to the mat and forced the Filipino onto all fours, he wasted no time in stepping over with his right leg to control his opponent’s hips and take the back. With a solid control of Banario’s body, a hand battle ensued as “The Rock” tried to keep himself in the contest. Khan eventually freed his hands and slid his right arm under the neck to lock up the rear naked choke for a first-round victory. The Singaporean will perform in front of his countrymen in a ONE Lightweight World Grand Prix quarter-final bout, where he meets Costa Rica’s Ariel Sexton. 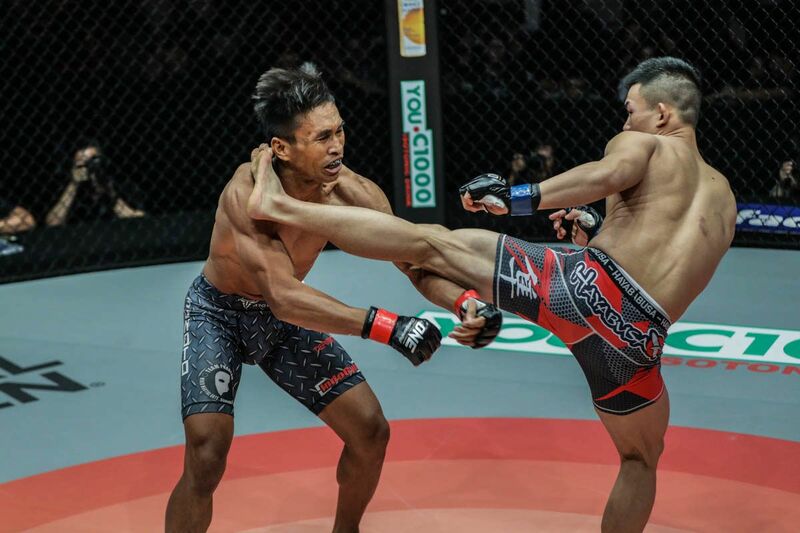 When Ev “E.T.” Ting duked it out with tough Filipino Eric “The Natural” Kelly at ONE: CLASH OF HEROES, and the Malaysian-born athlete took control with his striking and wrestling offense. Kelly had to try and turn things around in the final stanza, but as he chased for the takedown, Ting could capitalize as soon as “The Natural” made a mistake. “E.T.” latched on to Kelly’s neck when he left it exposed, and tightly wrapped his right arm under his opponent’s chin – tightening the grip with his left hand. He knew the choke was tight, so he committed to the finish by jumping to guard with his left leg across Kelly’s back. Kelly tried to roll free, but Ting followed him to the mount and applied a crushing squeeze to force the tap. A repeat performance by the New Zealander against Saygid Guseyn Arslanaliev on 22 February will earn him a place in the ONE Lightweight World Grand Prix semi-finals. Ariel "Tarzan" Sexton defeats Kota Shimoishi at 0:44 of Round 3 with a WILD submission! BJJ black belt Ariel “Tarzan” Sexton has arguably the most dynamic ground game on the ONE roster. He is creative and unpredictable, and he showed that in his finish of Kota “Kong” Shimoishi at ONE: PURSUIT OF POWER. In the third round of their thrilling battle, Sexton swarmed Shimoishi with punches on the ground, and the Japanese athlete tried to grab on to a leg to escape. However, he fell straight into “Tarzan’s” trap. The Costa Rican took a big back step to clear his leg and worked his way onto “Kong’s” back – throwing his right leg over his rival’s right shoulder to attack for his favored reverse triangle. The choke was tight, but then Sexton cranked on Shimoishi’s left arm to add a shoulder lock to his list of worries. 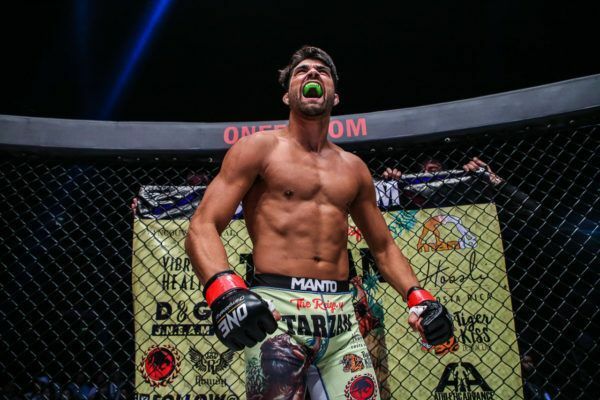 “Kong” quickly tapped to the two-pronged submission attack, which gave Sexton a signature win to lead him to his quarter-final contest against Khan. "Kru Rong" is ready for his next challenge on 9 December. ONE’s tournament participants are not the only athletes set to feature in Singapore with some impressive tapout finishes. Dejdamrong “Kru Rong” Sor Amnuaysirichoke entered mixed martial arts as a hugely decorated Muay Thai World Champion, but his three submission victories to date are a testament to his all-around evolution in his new sport. 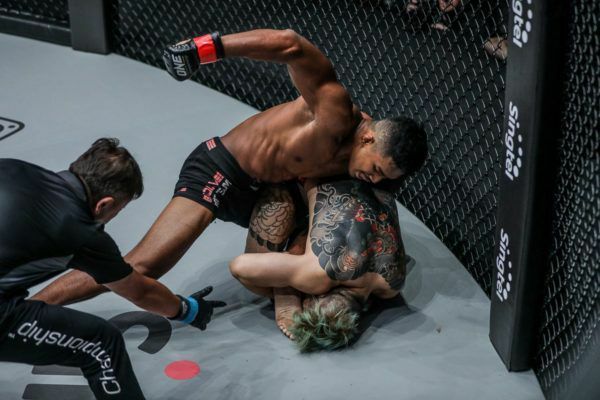 “Kru Rong’s” first ever grappling finish came against Ali Yakuub at ONE: REIGN OF CHAMPIONS when he initiated the ground exchanges by using his strong upper body clinch to throw his rival to the canvas. Once they were on the ground, Dejdamrong clubbed Yakuub with hard shots and came close to sealing a deal with strikes, but the Malaysian tried to turn away from the strikes for some respite. Reacting like a grappler with many years of experience, the Thai quickly threw his right arm under Yakuub’s neck and locked in a bout-ending choke to showcase his new-found versatility. Could we see the Thai legend dust off his ground game against Jeremy “The Jaguar” Miado in an eagerly anticipated rematch at ONE: CALL TO GREATNESS? Stamp Fairtex and company plan to ignite Singapore with offensive displays like these on 22 February.